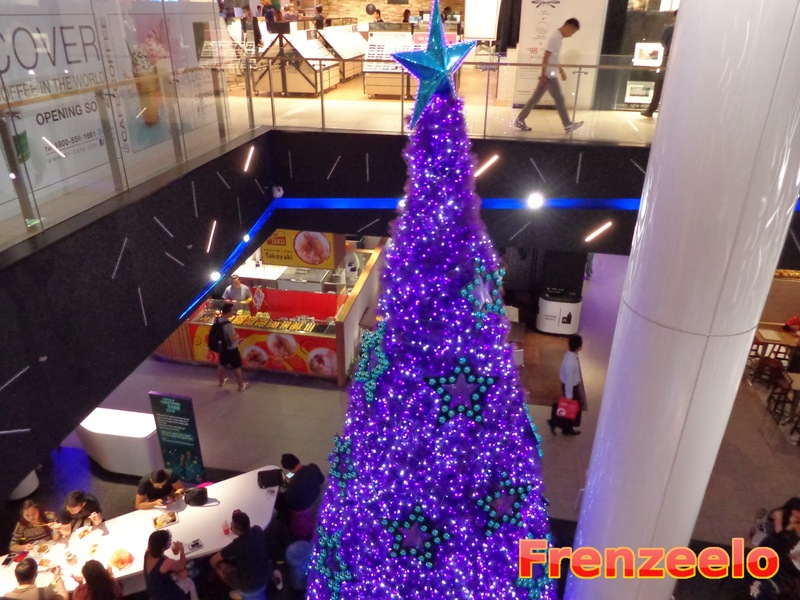 On every November and December of the year, shopping malls in Singapore will usher in the Christmas and New Year holidays. 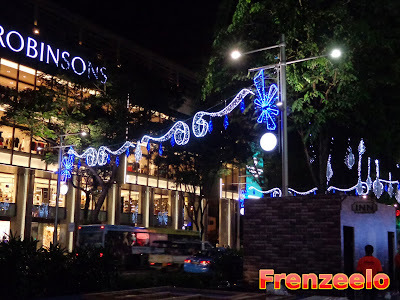 Everywhere in Singapore, you will find Christmas trees, Christmas decorations, Christmas hats and of course, Christmas lights. 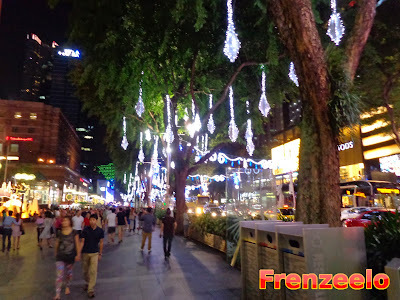 At Orchard Road, one of Singapore's most famous shopping districts, the annual Orchard Road Christmas Light Up was held once again from the stretch between ION Orchard all the way to The Cathay, beautifying the roads and spreading the festive cheer. 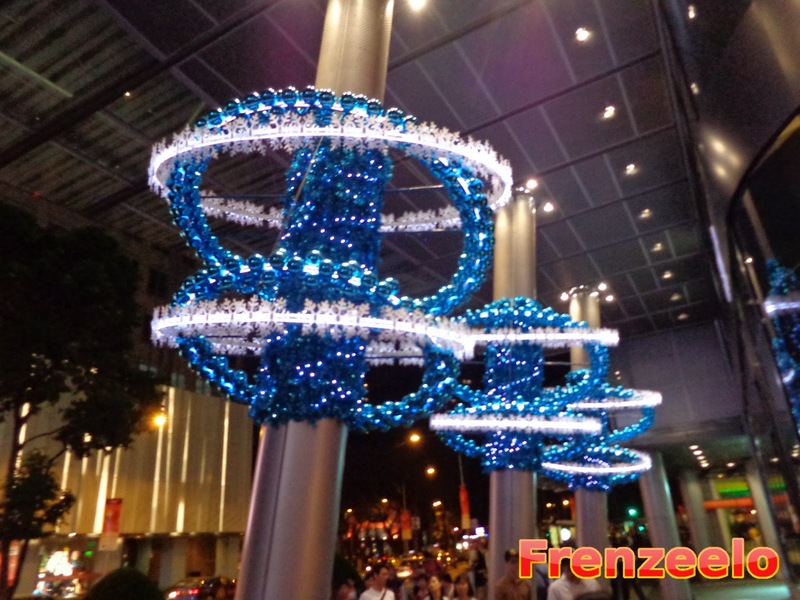 By the time you come across this article, the light up will probably be over but not to worry as I'll be showing you all the things that you might have missed during the recent annual Orchard Road Christmas Light Up 2013. First of all, let's talk about Christmas decorations and trees found at the Orchard Road malls. 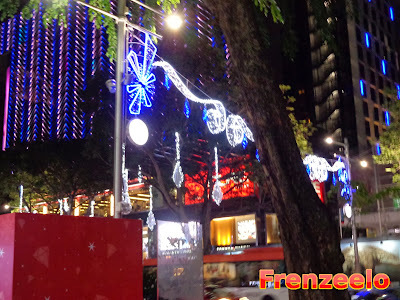 Within the Orchard Road area, there is a competition among the malls, organised by the Orchard Road Business Association or ORBA, which is all about which mall has the best dressed exterior filled with Christmas decorations. In 2013, Orchard Central won the 'Best Dressed' award. I was actually expecting ION Orchard to win but I do agree that Orchard Central deserved the award. I really wanted to show you their exterior but unfortunately, I did not take a photo because I totally forgot about it. Nevertheless, I did manage to take photos of some amazing decked-out Christmas trees at some malls at Orchard. The first Christmas tree, the one where the colour is purple, was found inside 313@Somerset's Basement food hall. If you don't know where's the mall, it's the one that's directly connected to Somerset MRT Station. The tree isn't the only Christmas decoration found in the mall but it's the one that stood out the most to me. Some Christmas related games and Spin The Wheels (with a purchase of course) were available at Level 1 for the mall to spread the festive cheer. The second photo of the Christmas tree is one of the most eye-catching Christmas trees I have ever seen in 2013. 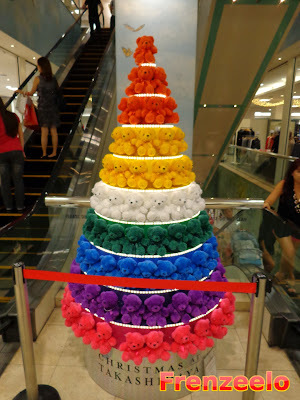 It's found in one of the levels in the Takashimaya Department Store and instead of a traditional Christmas tree, they opted for a tree made entirely out of teddy bear plush toys. Not only that, it's arranged to look like a rainbow. Totally colourful and very unique. In fact, it doesn't even look like a Christmas tree except for the basic shape. Props to Takashimaya for thinking out of the box. Before continuing, there's one disappointing thing related to the Orchard Light Up and it's not the decorative lights. It's the decision to not choose red, orange and green for the lights. It's been said that the reason why those colours were not allowed was because they don't want to confuse or endanger drivers driving along Orchard Road. As you might have known, red, orange and green are colours that represent traffic lights and it's also the colours that represent Christmas. I'm not sure if they will continue to avoid these colours for the 2014 light up or future light ups but I do hope that those three colours will eventually be used again some day. Despite all that, the decorations still looked awesome and eye-catching enough. Here are some unique miniature trees I have found at the walkway outside Mandarin Gallery. 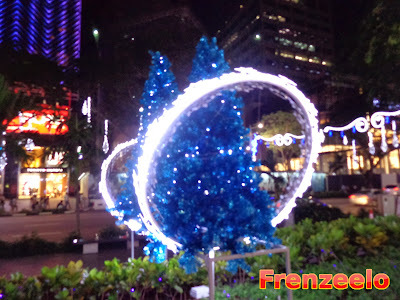 The colour is blue, which is unusual but unique for a Christmas tree but I guess the reason why they chose this colour is because it matches the lights that are suspending along Orchard Road. Another great thing about the trees is that they have these light rings around the trees that look like an angel's halo. A lot of people seem to enjoy the trees as many made use of the decorations and took photos of it. Unfortunately, a portion of the pathway along Mandarin Gallery was blocked. I think the reason why it was blocked was because they were setting up some temporary shops AKA pop up shops. Not only that, there was also a platform which looked more like a stage most likely for Christmas performances on the 25th of December. These were the blue crystal lights that were found suspending in the air above Orchard Road with the help of some wires. It's not as colourful as the previous years but I guess it's still cool and unique. It's not the best but certainly attractive enough. I see a trend nowadays when it comes to street light ups like these. The trend of being minimalistic which is to keep things as minimal as possible. Although, like what I said earlier, I still do wish that the colours red, green and orange were used in the 2013 Light Up. It's great to see the suspending lights being complemented with the Christmas decorations found on the exteriors of Orchard Road shopping malls. Some small booths or pop up shops as people like to call it, were also found on the pavements to sell all kinds of things ranging from Christmas gifts to tickets and even some whacky novelties. 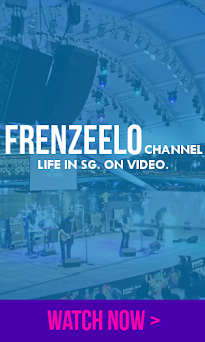 As usual, street performers can be found along the Orchard Road pavements showing off their talents to not only entertain the public, but to also spread the festive cheer. 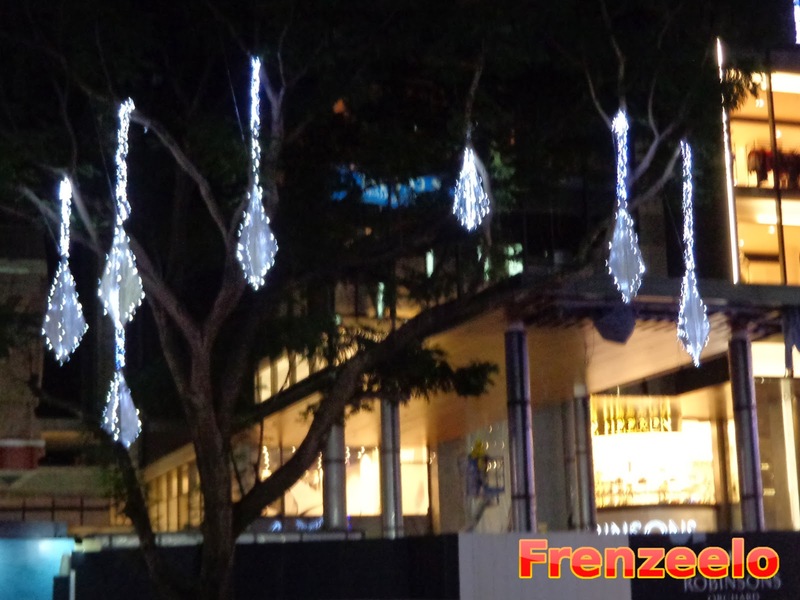 Here are some more pictures of the beautiful light decorations found along Orchard Road. The ones right above reminds me of gift ribbons, the ones that can be found on top of Christmas presents and they also kind of remind me of bowties. Not sure why but they do look like it to me. This group of lights on the other hand, reminds me of frozen raindrops don't you think? Anyway, these lights make the Light Up even more colourful and brightly lit. I hope the Christmas Light Up 2014 will be bigger and more extravagant than the 2013 version. Although it was not really Christmas Day, there were still plenty of visitors visiting Orchard Road doing their shopping and enjoying the Christmas Light Up. 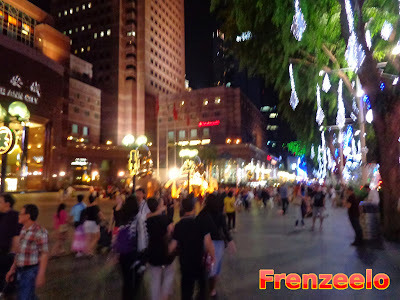 It's nice to see Orchard Road brightly lit up at the end of the year to usher in the Christmas and New Year holidays. Walking along the pavements remind me of walking through a winter wonderland thanks to the bright blue and white lights. As usual, there were people selling Christmas hats and portable lights for visitors to carry around to celebrate the holidays. 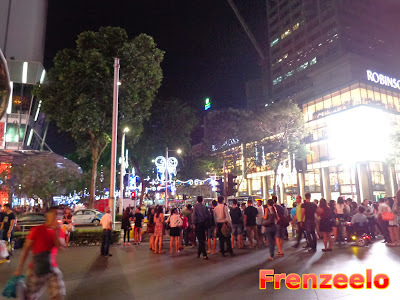 As a "tradition", on every Christmas Day (25 Dec), a portion of Orchard Road will be closed for people to walk on it. There will always be exciting Christmas performances, line dancing and lots of people having fun and taking tons of photos. It's a great way to spend the night and you'll have a rare chance to walk along a public road. Be aware though, there will be TONS of people at the event. 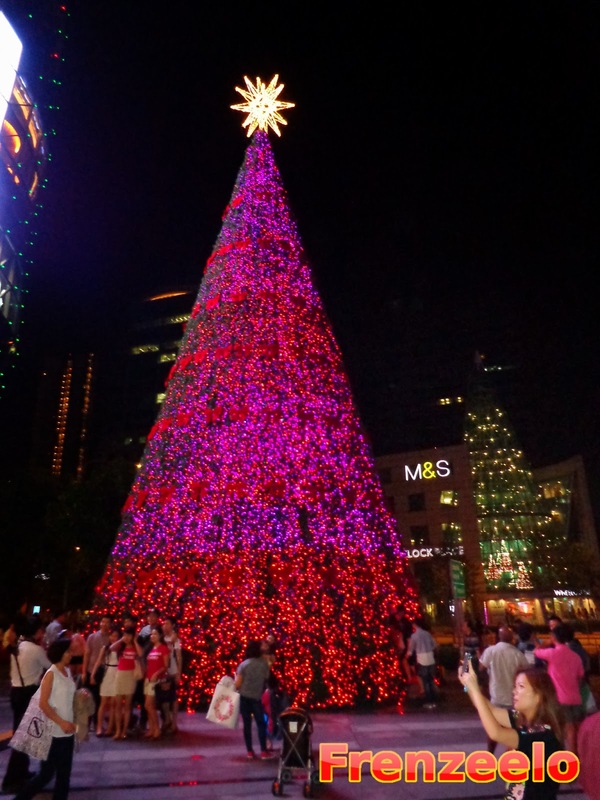 Last but not least, when I reached the other end of Orchard Road, I came across one of the largest Christmas trees that I have seen here which is the ION Orchard Christmas tree. What's great about this Christmas tree was that the colours kept changing. One moment it's blue, then after a few minutes it's green, then after a while it's red, you get the point. It's one of the biggest that I have seen although it's not the biggest in Singapore. You can actually enter the tree and see what's inside. I did not get the chance to go in as there were too many people entering at the same time. I'm guessing that the tree was similar to the 2012 one where you can enter, ring a bell that's suspending, listen to some Christmas songs and even look at the beautiful lights available on the inside. Apart from the gigantic Christmas tree, there was also a small maze-like trail outfitted with horse carriages (with no horses of course), mini Christmas trees and there was even a place that resembles the mistletoe. ION Orchard wanted to make it more like a magical wonderland Christmas which was rather an excellent job by them. I think the 2013 Christmas Light Up at Orchard Road were just as great as the ones in the previous years. I still do wish that there's more variety when it comes to colours. I also noticed that they kept the Light Up as minimalist as possible which was rather interesting. Hopefully, a more colourful Light Up will happen in late 2014. Apart from that, the Christmas decorations at every Orchard Road shopping mall were excellent in their own ways and I still kind of regret not taking a photo of Orchard Central's Christmas decorations as they won the 'Best Dressed' award. 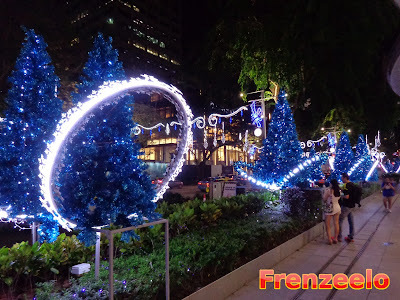 Going to Orchard Road during November and December is an entirely different experience due to the wide variety of Christmas decorations and it can actually be even more memorable. Orchard Road is not the only place where you can see beautiful light ups like these. On the month of January, Chinatown will be lit up and decorated with Chinese New Year decorations. 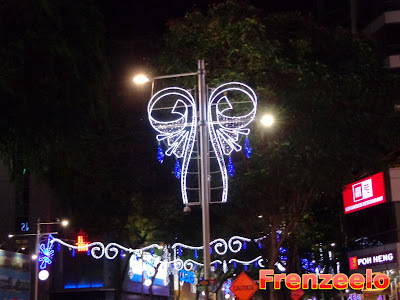 Also, do look out for light ups during the Hari Raya season in Paya Lebar at around the June and July time frame and the Deepavali light up at Little India at around the October and November time frame as well. If you want to see Christmas Light Ups from previous years, do click here to check out the 2012 and 2011 versions. Although it's still January, I do look forward to the 2014 Orchard Light Up.